where is assumed to be white noise with . Necessary and sufficient conditions for the AR(1) model to be weakly stationary are ; otherwise, it is said to be explosive. In this Demonstration you can vary the parameters to observe the behavior of the process. 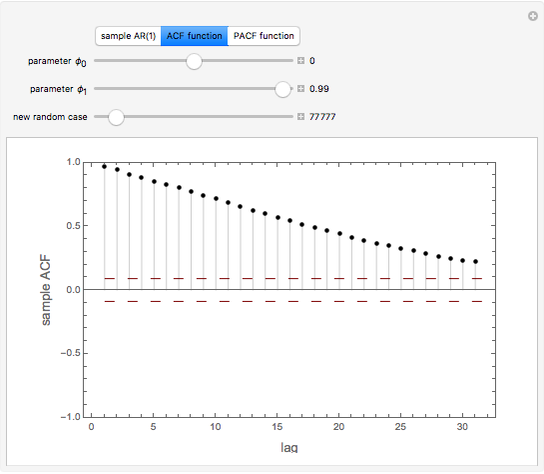 Choosing "ACF function" shows the autocorrelation function of the simulated AR(1) process; choosing "PACF function" shows the partial autocorrelation function of the simulated AR(1) process. These two choices help us to study the dependence between the lags of the process. 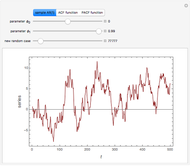 The ACF and PACF functions are plotted together with standard deviation bands that determine significance. where is assumed to be white noise with . 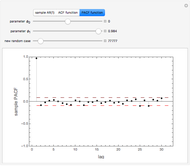 A simple autoregressive model of order one (an AR(1) model) has the same form as a simple linear regression model, where is dependent and is the explanatory variable, but they have different properties. The mean and variance conditionals on past returns are: and . Thus given the past return , the current return is centered around with variability . Assuming that the series are weakly stationary, , , and , where and are constants. Necessary and sufficient conditions for the AR(1) model to be weakly stationary are ; otherwise the process is explosive. The ACF of satisfies for , but as , , and the ACF of a weakly stationary AR(1) series decays exponentially with rate . 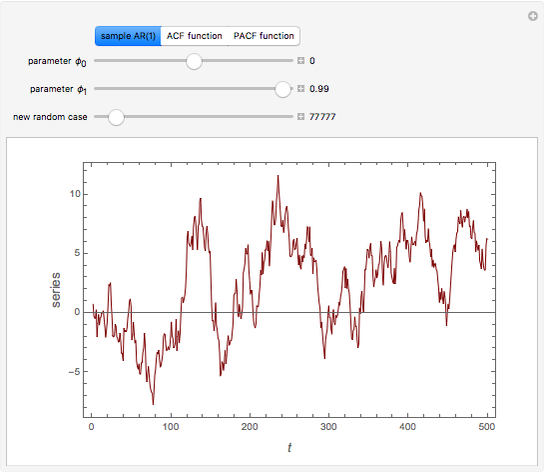 ACF and PACF are powerful tools for time series analysis. 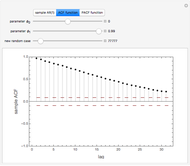 Snapshots 1, 2, and 3 show processes that are dependent (the parameter is large); you can observe slowly decaying strongly significant ACFs, while the PACF shows only one lag strongly significant. On the other hand, snapshots 4, 5, and 6 show a negatively dependent process, where the ACF is decaying exponentially and the PACF has again only one significant lag. 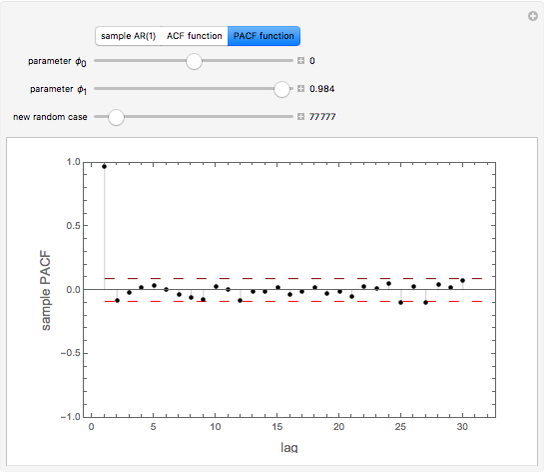 Note that the significant lag of the PACF points to the AR(1) dependence in the observed time series, while the sign of the PACF lag corresponds to the sign of . J. D. Hamilton, Time Series Analysis, Princeton: Princeton University Press, 1994. R. S. Tsay, Analysis of Financial Time Series, New York: Wiley, 2002. Jozef Barunik "Autocorrelation and Partial Autocorrelation Functions of AR(1) Process"